Create opportunities for musicians on campus to play their instruments, regardless of major. 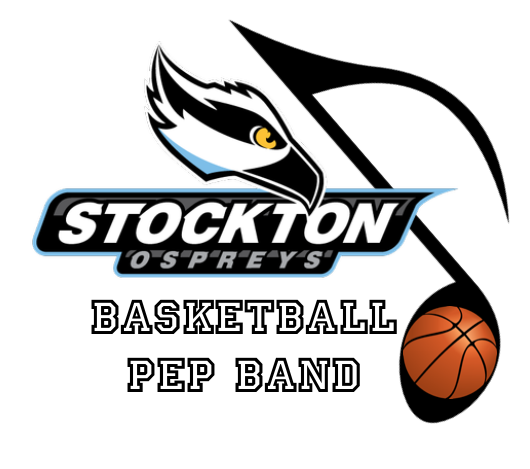 Support Stockton basketball and those student groups, dance team, cheerleaders who also perform at games. 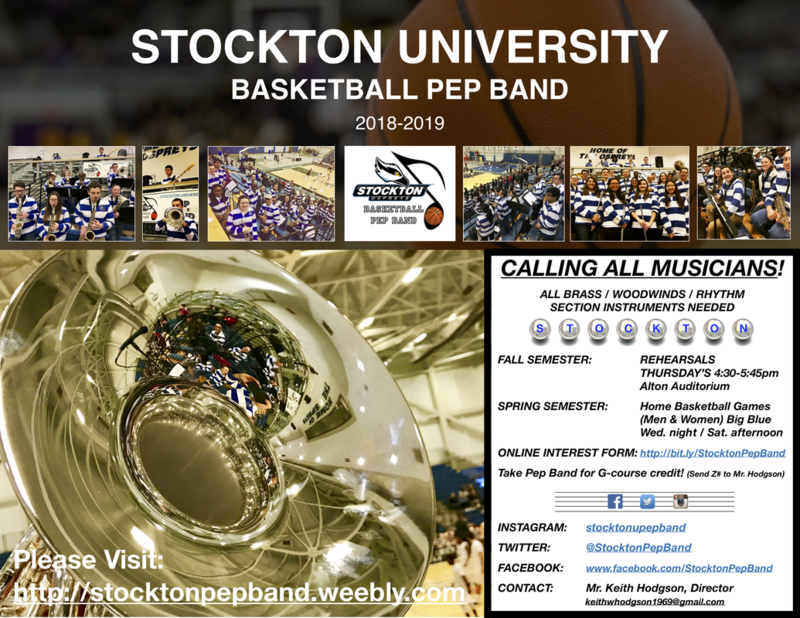 Increase interest in Music minor or major and recruit players for other instrumental ensembles. Enhance campus climate for music and the arts. ​Please pass along the link above. Below is our “FLYER” - Please Share & Post!! !